Brian Mac Lochlainn is an award-winning Architectural and Hospitality photographer, and we are happy to work with him on a regular basis producing arresting real estate imagery and video for our shared clients. Conradh na Gaeilge is a social and cultural organisation charged with promoting the Irish language and culture worldwide. We work with them regularly to make sure they can continue in this important work through imagery, video, and digital communications. Seachtain na Gaeilge are a non-profit organisation who promote the Irish language through a two-week festival held annually in the run up to St. Patrick’s Day. We like to help them do that. The Digital wing of the Irish national broadcaster, it has been our pleasure to work with RTÉ Digital as videographers, producers, directors, editors, digital consultants, and presenters on the web summit, amongst other events, in recent years. SNP Communications are a leadership communications company with offices in San Francisco, New York and Dublin. We help them on a regular basis in their mission of seeking out the good people and making their delivery memorable. WhackPack Furniture are a furniture design company, based in Monaghan, whose flagship ‘Creepie Stool’ we helped turn into one of the most successful kickstarters in Irish history. Check out our case study here. BUMBLEance, the national children’s ambulance service, provides stress-reducing journeys for children in state-of-the-art, safe and fun vehicles. We are proud to help them in this life-changing work on a regular basis. The DRHE are the lead statutory authority in response to homelessness in Dublin. We help them on a regular basis communicate to relevant parties any updates they have in tackling what has become a crisis. Ravelóid was an Irish language music festival scheduled for Malahide Castle in Summer 2016. Our videos helped them spread the message about what they had planned for Irish speakers up and down the country. MasterKabin showcased their modular homes solution to homelessness in North Strand in Dublin in October 2015. We helped them put imagery and video around their message. UPC Ireland became Virgin Media with a lot of fanfare. See our case study here about how we helped them do so. MOM Services helped MasterKabin with the project in North Strand, and we were on hand to in turn help them. On May 22nd 2015, Ireland sent a clear message of tolerance and love to the rest of the world by becoming the first country in the world to enact Marriage Equality by plebiscite. We were proud to spend a month working with the campaign team to help achieve it. 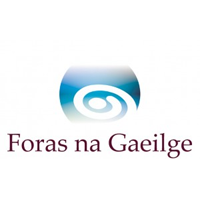 Foras na Gaeilge is responsible for the promotion of the Irish language throughout all of Ireland, north and south. We are happy to help them in that at every given opportunity. Tá Comhionannas is the Irish language campaign for Marriage Equality. We were happy to lend our skills to helping them put their message across at the same time as their English language sibling. Monaghan Has It is a group of local businesses who came together to prove that Monaghan Town had something a little bit special to offer. We were only too glad to help. Vision2020 Dublin was an event hosted by Google Ireland and Taoiseach Enda Kenny which sought to make Ireland the best country in the world to establish a high-impact startup. We helped explain how. As part of Monaghan Has It’s publicity drive, a fashion show sourced totally from local boutiques was organised to showcase the town. We were there to document what happened. 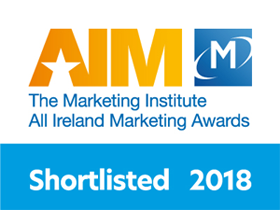 We are proud supporters of Active Retirement Ireland’s efforts, and have in the past provided digital audit, photography and videography services to help them along. Rugby might be our game, but that doesn’t mean we can’t appreciate a great American pastime. We regularly photograph international matches for Baseball Ireland. Your logo would look great on this page.